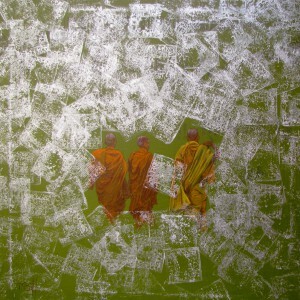 This mixed media art is a very stylized piece. 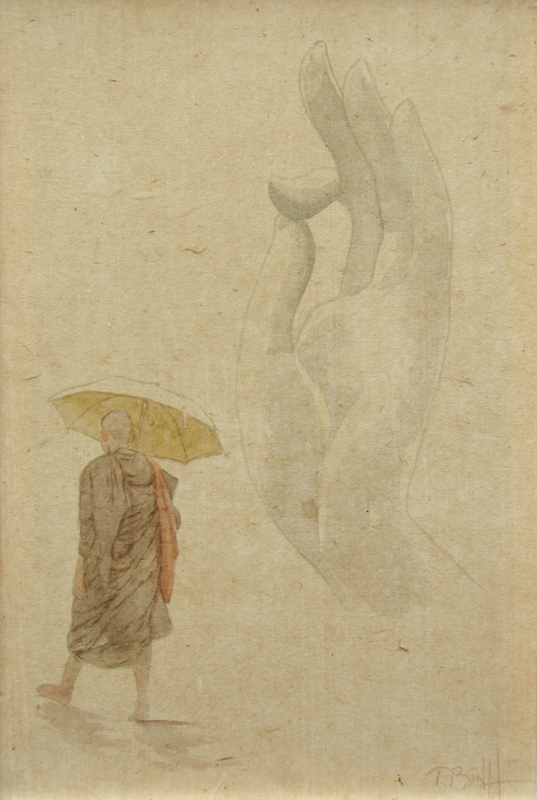 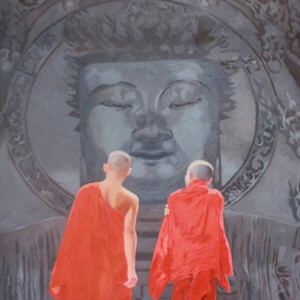 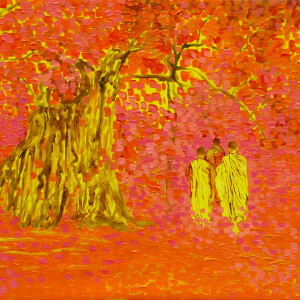 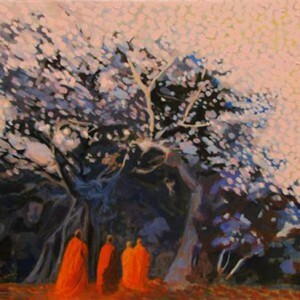 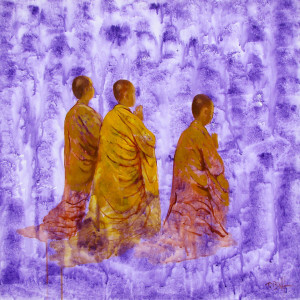 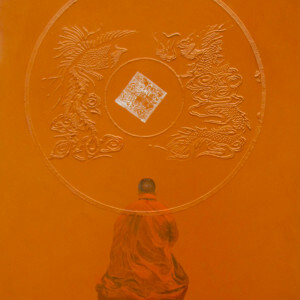 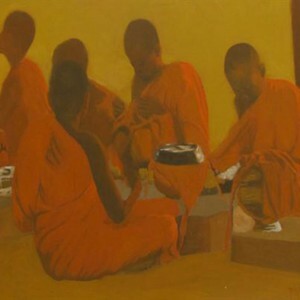 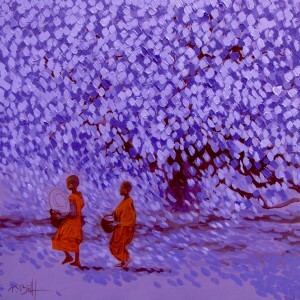 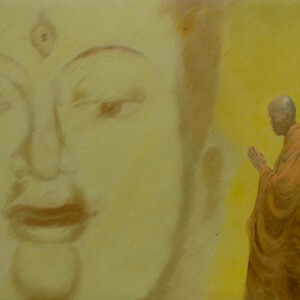 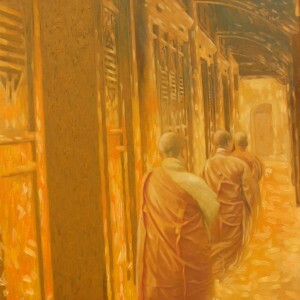 One from the master artist Vu Thai Binh’s paintings inspired by Buddhism, this composition shows a lone monk resolute on his path of pilgrimage while the hand of Buddha blesses and protects him. 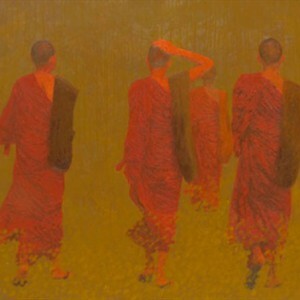 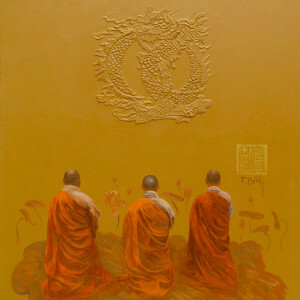 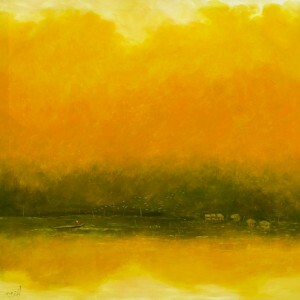 This highly evocative piece is a fine example of contemporary Asian painting.